A guide to plumbing sounds. It’s fair to say that probably about 90% of your plumbing is behind walls in places that are hard to reach. So, because of this depending on your auditory skills can become fairly important when attempting to diagnose plumbing issues. So, what are those noises? And what can they mean? 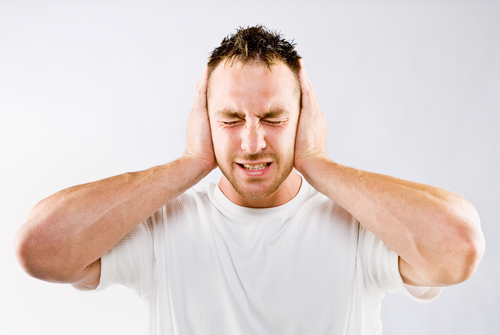 A sudden banging noise is called a water hammer. This happens when a closed valve stops the flow of water through a pipe. If the air chambers of your plumbing are filled with water, it causes the water hammer sound. The pressure of the stopping water can loosen and damage plumbing, so if you’re hearing that sound, call your plumber to have them clear out the air chambers. Shaking in pipes is normal. But if you’re hearing the shaking, there might be something wrong. Usually, a shaking sound means that the straps used to hold pipes in place are loose, or have let go. If you can reach the straps, tighten them up, or screw them back in place. If you’re not comfortable with this, call in the professionals and we can help. When gurgling happens, your pipes are likely clogged. The gurgling noise happens when water is trying to force itself through too small of a space while air bubbles try to force their way out. In a case like this, call in the professionals, and we’ll work to unclog the pipes to let the water and air run freely. *skreet skreet skreet* If your plumbing sounds like the movie Psycho, this usually means it’s your faucet. 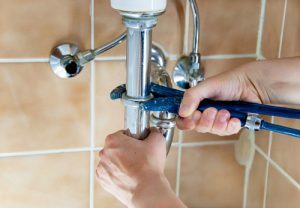 Whether it’s loose washer, a defective part, or too much water pressure, fixing or replacing the faucet can usually help the issue. As you can see, there is a virtual orchestra of noises that can come from your plumbing. Call in a professional here at Ermen and we’ll have everything back in order in no time.